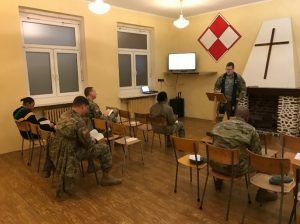 As the “Atlantic Resolve” mission becomes more robust in Eastern Europe, and units are standing up new headquarters in collaboration with NATO Allies, the US Army Chaplain Corps, as a representative of The Holy, meets Soldiers where they are. The 18th Combat Sustainment Support Battalion recently established a new logistics headquarters in Powidz, Poland. In anticipation of this need, Chaplain Andrew Calvert and Specialist Malcolm Williams created a sacred space for the Soldiers living there now, and for those of the 497th Combat Sustainment Support Battalion scheduled to take over the mission in mid-Spring 2017. 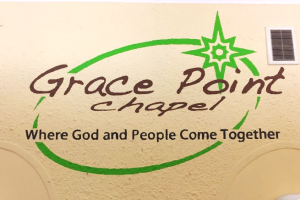 The space is called Grace Point Chapel – Where God and People Come together. 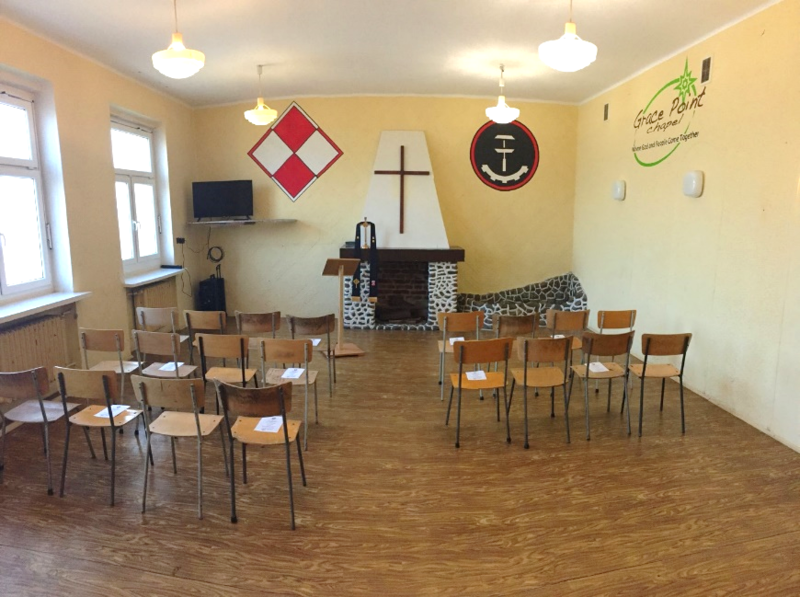 Chapels are places where Soldiers can worship and volunteer. This creates a sense of connectedness that is greater and deeper than their unit normally could provide. Spiritual Fitness and a relationship to The Holy is essential for the well-being and development of the whole Soldier concept. This space and needed resources were coordinated through a Polish Air Force liaison to “perform and/or provide” full spectrum Religious Support to all personnel both US and foreign. 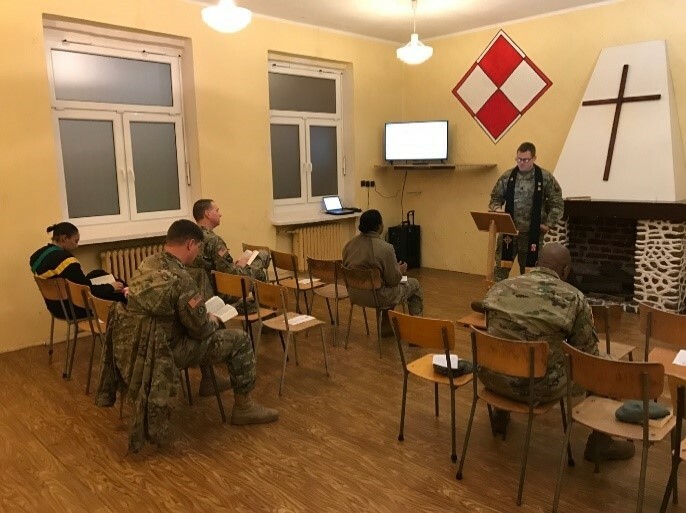 Chaplain Andy writes, “I was excited to read in Chaplain Calvert’s report, the establishing of this the Army’s newest dedicated chapel facility in Poland, so I asked him to send photos. He saw the need, and with the eyes of faith, and a diplomatic boldness, he recommended to his command team the transformation of a suitable space into a chapel facility. 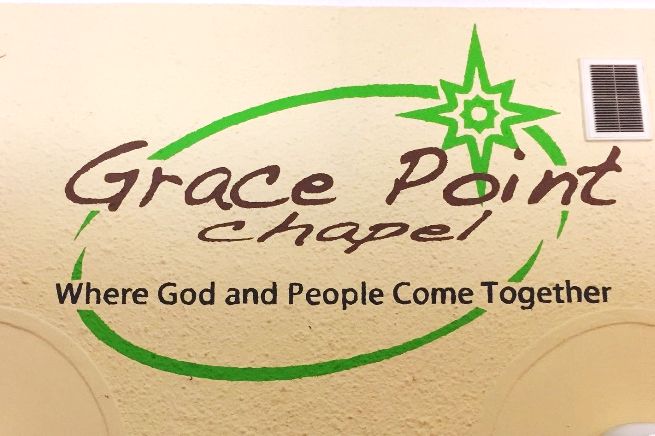 Approval was granted, and through a cooperative effort, Grace Point Chapel – Where God and People Come together, came into being. 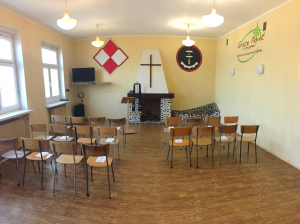 Pray for this facility to always be available for God-honoring activities, and that it will become a “spiritual home” for all visiting personnel. Join me in celebrating this historic event in USArmy chaplain history! For more stories about God’s work in and through CBAmerica’s 185+ chaplains, go to www.cbamerica.org/chaplaincy. 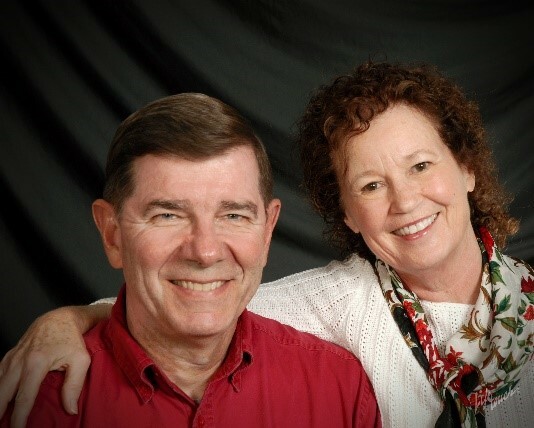 If interested in pursuing chaplaincy ministry, contact Andy Meverden, Director of Chaplaincy at chapandy@cbamerica.org.